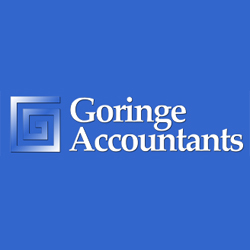 By Nicky Goringe Larkin, a Chartered Management Accountant who founded Goringe Accountants Ltd in 2007. VAT (Value Added Tax) was introduced in the UK on 1st April 1973 at a rate of 10%. The Chancellor of the Exchequer at the time described it as a “simple tax”. However, VAT has become increasingly complex and frustrating for many businesses so the following tips have been written to help you understand it better. 1. Choose the right scheme for your business. There are four main schemes that may be appropriate for your business; Standard VAT, Flat Rate Scheme, Cash Accounting Scheme and Annual Accounting Scheme. 2. Compare which scheme improves your cash flow. For example, if your customers take a long time to pay your invoices, you may prefer cash accounting, where you don’t pay the VAT until you have been paid. However, if your customers pay you immediately you may prefer to use the invoice scheme, where you can claim your purchase invoice VAT as per your invoice date. 3. Check if you need to register. Your goods or services may not be applicable to VAT, e.g. many healthcare providers are classified as “exempt services”. The VAT threshold continually changes, it is currently £79,000, so you may find that you are under the threshold so it is optional to register. (See our VAT 101 for small businesses blog). 4. Check your threshold on a rolling basis.The VAT threshold is as per 12 consecutive months, not just your accounting period. It is a good idea to check each month if you are near the threshold. You may have a mix of services, with some exempt and some standard, you only need to include the standard when checking your threshold. 5. Register in good time.VAT registration can take anything from a week to a couple months, so ensure you submit your VAT application as soon as you can. 6. Use a good accounting system. If you have a significant amount of transactions, it is a good idea to use good VAT accounting software to remove some of the pain of calculating VAT. Sage One Accounts is simple to use, and can cope with flat rate and/or cash accounting. Sage One tip – if you change VAT scheme make sure you change your VAT status on Sage One before you enter any transactions under the new scheme. 7. Pay by direct debit.If you select to pay your VAT by direct debit you get a few extra days for payment. For example, if you have a April to June return to file, payment by cheque is due by 31st July, by electronic transfer by 7th August, but by direct debit the date will be between 10th – 12th August. 8. Keep good records. Also ask for VAT receipts, for example when you buy fuel. 9. Deregister if appropriate. If your business circumstances change you may find it appropriate to deregister, this isn’t difficult you just need to fill out a simple form in advance of when you would like to deregister. 10. Outsource if appropriate. If VAT is essential for your business but sounds like too much hard work to administer yourself, consider outsourcing the VAT return production to your bookkeeper or accountant. If you’re starting or growing a small business, take a look at our Sage One Cashbook, Accounts and Payroll software and sign up for a FREE 30 day trial by clicking on the buttons below. More information about how you can use Sage One to prepare your VAT Return is available on our Sage One VAT page. Invaluable top 10 VAT tips Nicky. Many thanks for sharing your real world experience with us. Hi Alex, you are most welcome. Check out our website blog for more tax top tips!